Echoes in the Valley 2017 was a grand affair. 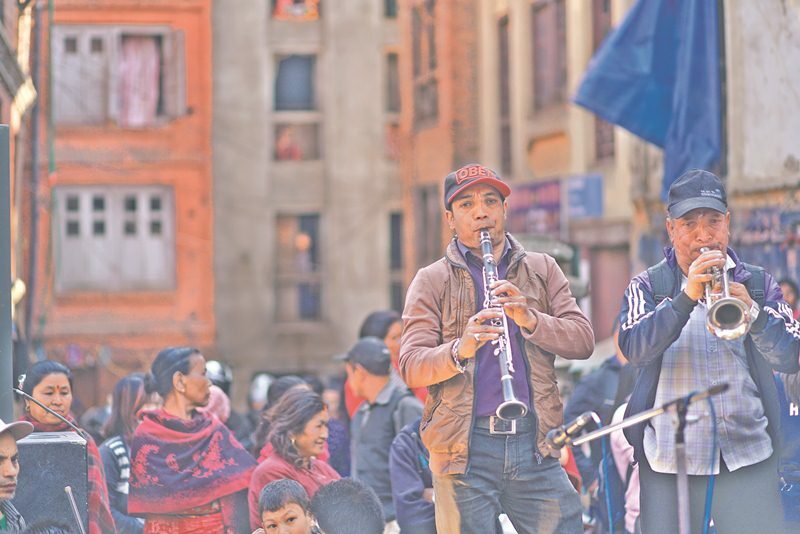 Two-hundred Nepali and international artists took to stage in Ason and Janabahal, Kathmandu, to perform for the sake of promoting and preserving traditionally practiced performing arts, more specifically music. 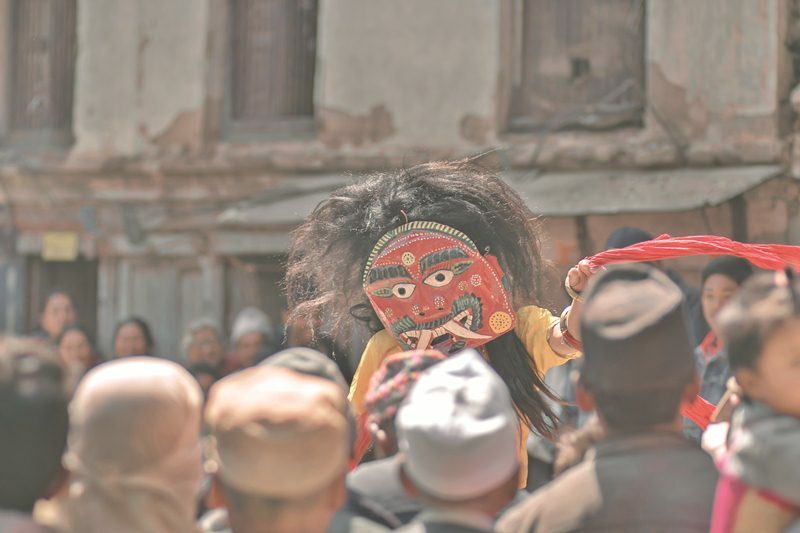 The festival also made initiations in the form of workshops with the hopes of preserving intangible heritage. 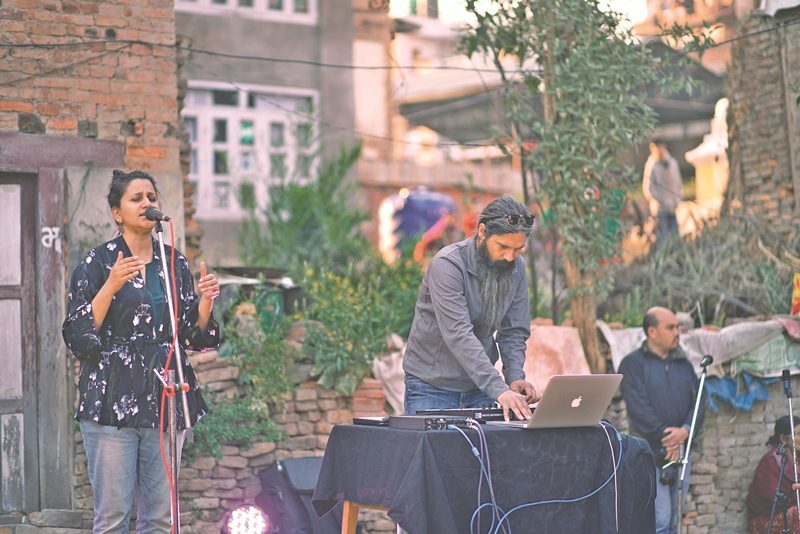 The next edition of the festival will only be held in 2019, but as a satellite project—organised by Kanta Dab Dab, in collaboration with Kutumba and the local community of Banepa—titled Echoes in the Valley Resonance, was held on March 17 in Banepa. 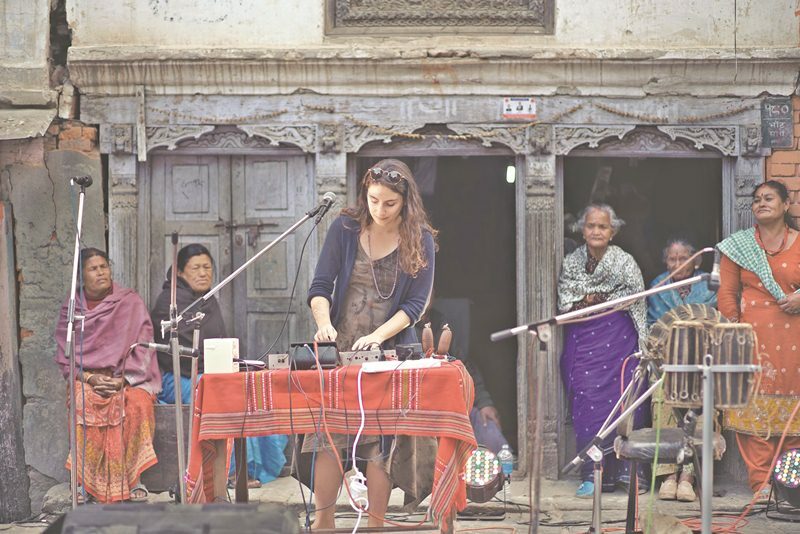 Resonance was held in two adjacent locales in Banepa—in Tin Dhara and in Narayan Mandir. 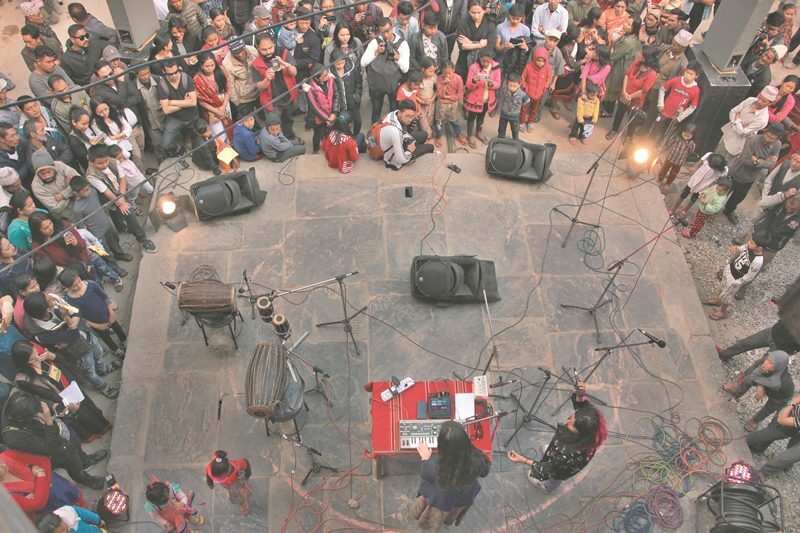 During the day, 15 different performances were held on the two stages, featuring artists from Banepa, Kathmandu, India and Italy. 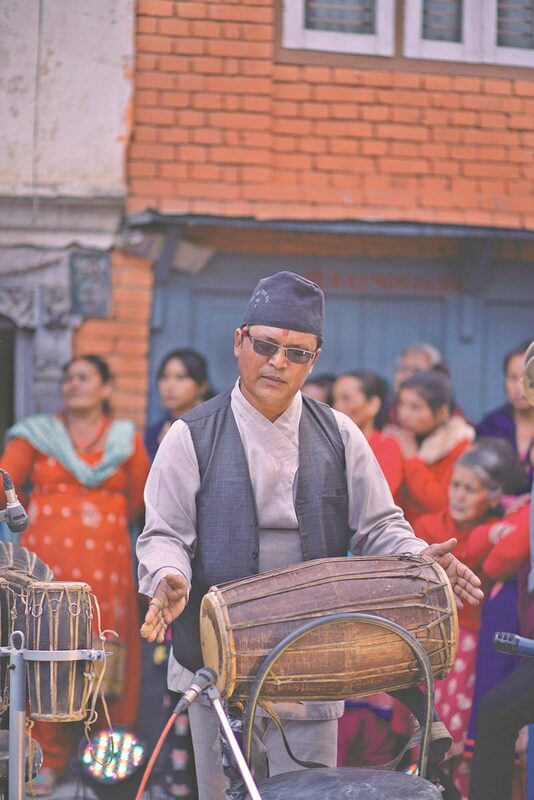 The audience witnessed an assortment of genres through performances by traditional music groups, contemporary music artists and poets. 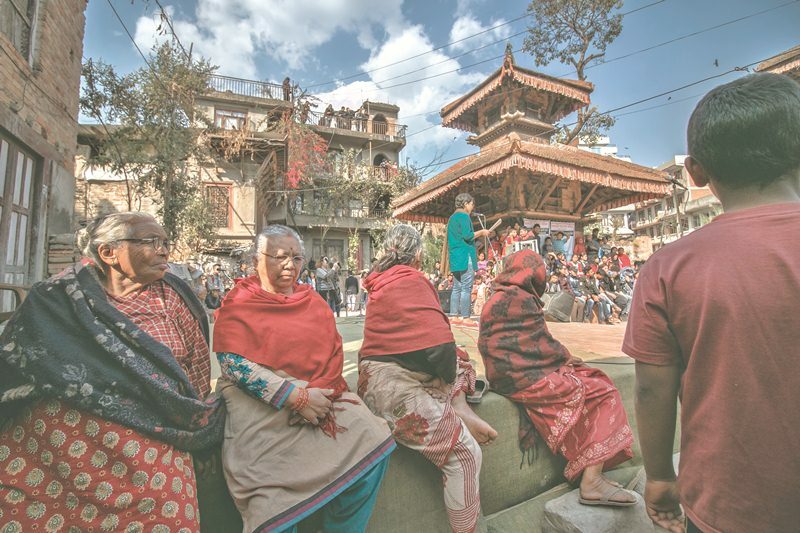 Though in an old Newar town, the performances were not limited to Newar practices alone. 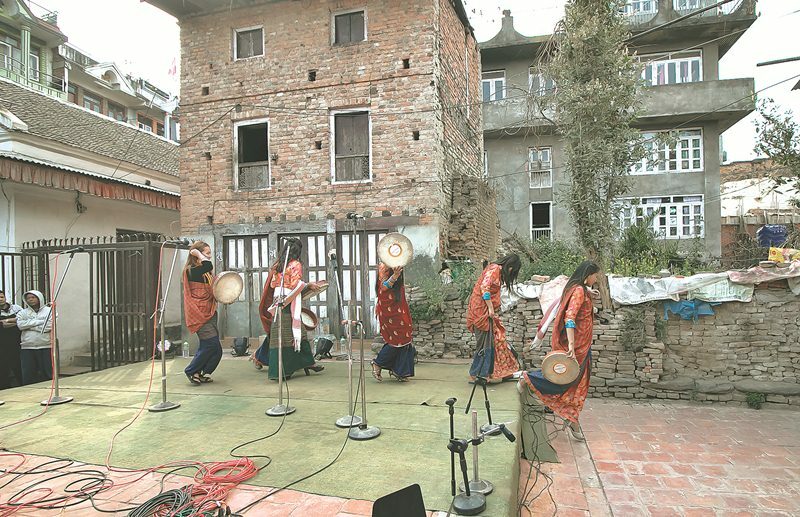 Nepal Music Center’s ensemble Earth’a played at Tin Dhara while a Percussion Ensemble from Indian Culture Center; Word Warriors, a spoken-word poetry group; Tamang Dance group; Zeromile, an electronic music duo; and folk contemporary ensembles Ma and Miku performed in the Thanpati Narayan Temple. 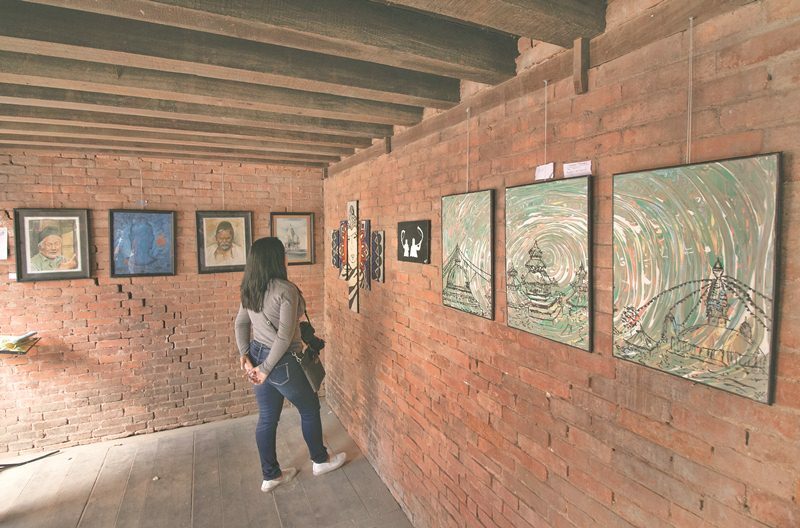 An art exhibition, organised by Banepa Institute of Music and Arts, featuring Banepa-based artists was also held in the sattal of Lokeshwor Temple. 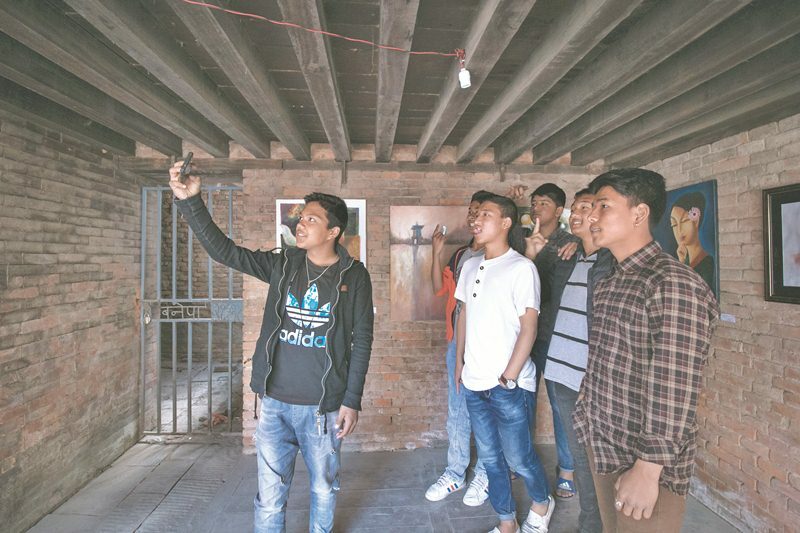 Dhupya Making Workshop, a workshop conducted by Newa Guthi Samaj, also saw participants making traditional Newar incense. The festival had also organised several workshops, prior to the event, as part of the festival. 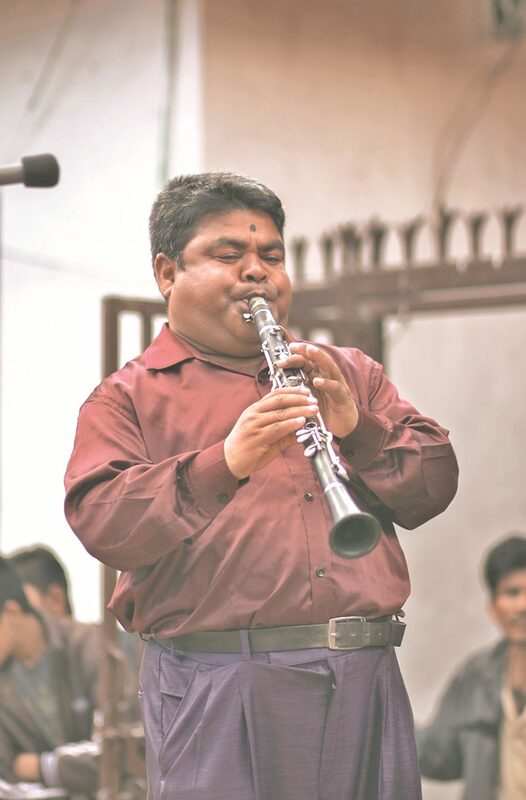 Music Confluence: a musical exchange workshop, ‘Music for Children’ teachers training workshop by Laya’le Sikchya; Of Culture and Life: A workshop on the documentation of intangible heritage by Fuzzscape, and Music Workshop for Kids were all held in the Medieval town during the week.